Home Politics To What End is Their Suspension? To What End is Their Suspension? 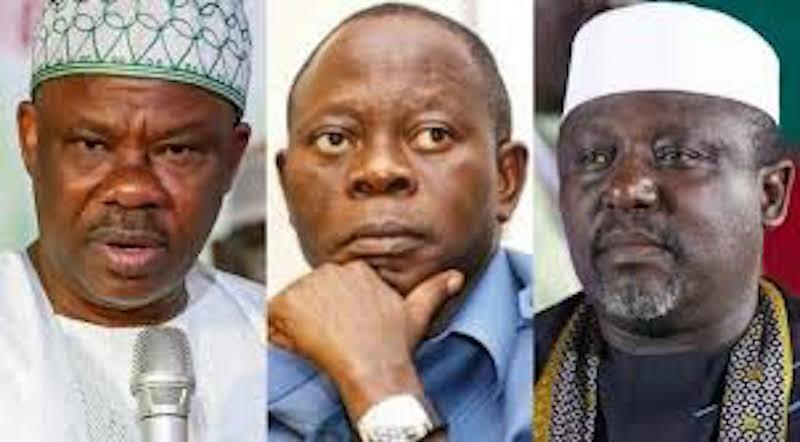 After winning the last presidential election and also securing majority seats in the parliamentary elections, the suspension of Governors Ibikunle Amosun and Rochas Okorocha of Ogun and Imo States by the National Working Committee (NWC) of the ruling All Progressives Congress (APC), does not portray the party as having learnt from history. Rather, the perception being pushed out by the party’s NWC as a result of its action is suggestive of the fact that it is set to mismanage its electoral success, much like it did in 2015. The suspension could only have come as a surprise to those unfamiliar with the intrigues and power play within the party. In fact, the move to suspend the duo had been on the table within the party since the weeks after the reconciliation committee set up by the party hierarchy, in the aftermath of the crisis-ridden primary elections, failed to broker truce submitted its report. While the doves within the party sued for peace and carried the day at the time, the hawks resuscitated the push in the wake of the fallouts from the party’s presidential campaign crisis in Abeokuta, Ogun State. The hawks eventually had their way on Friday, when the NWC announced the suspension with a further recommendation to the APC National Executive Committee (NEC) to expel Amosun and Okorocha from the party. Announcing the suspension, the party’s Publicity Secretary, Lanre Isa-Onilu said apart from Amosun and Rochas, the party also suspended the Minister of Niger Delta, Usani Uguru and the Director General of the Voice of Nigeria (VON), Osita Okechukwu. “Notably, these individuals have not shown any remorse and have actually stepped up their actions. The party reviewed the serial anti-party activities of the concerned individuals before and during the last presidential and National Assembly elections in their respective states and resolved to enforce party discipline in line with our constitution. The suspension has however elicited different interpretation from within the polity. One, many champions of party discipline and supremacy see it as a welcome development. Those behind this perspective argued that the duo had overreached themselves and rebuffed all efforts to agree on the truce proposal offered by the party, leading to the argument that if they are not reined in, they might set a bad precedent in the party. 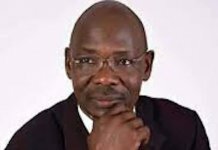 Even then, there were those who, maintained that the party hierarchy had failed the justice and equity test on account of the many loud allegations of fraud and corruption that trailed the party’s primary election process. 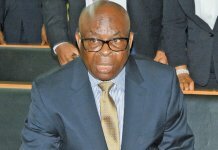 Those in this school insisted that the refusal of the party hierarchy to submit itself for probe in the face of the allegations was suggestive of culpability on the part of the party executive led by Adams Oshiomhole, who was interrogated by men of the Department of State Services (DSS) in the heat of the crisis. Another interpretation to the suspension, although somewhat pedestrian, borders on suspicion of ‘use and dump.’ Those pushing this narrative claimed that the apparatchik tolerated the excess and recalcitrance of the two governors and that of the Director General of the Voice of Nigeria (VON) Osita Okechukwu in order not to rock the both a little too much in their respective states. 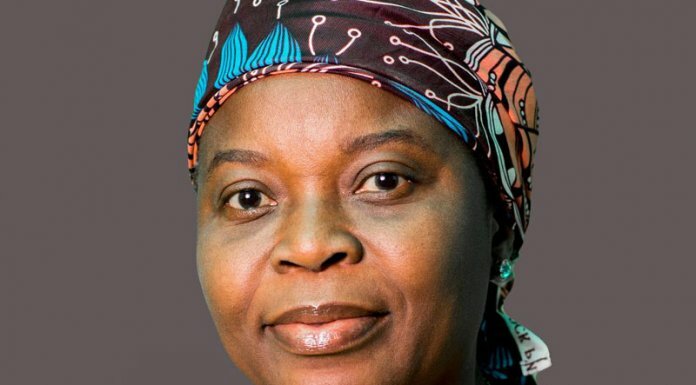 The narrative to support this line was that doing away with the trio before the presidential and parliamentary elections could have adverse effect on the performance of the party’s presidential candidate, Muhammadu Buhari in the election. And this draws easy plausibility given that the two sitting governors contributed to the performances of the party in the presidential election as they helped to garner votes for Buhari. Interestingly, some of those who support the suspension and argued that instilling party discipline was the right way to go, also raised the red flag on account of whether or not the party’s decision was founded on justice. This school particularly faulted the party primaries held in Ogun State and labelled the election a sham, adding that the committee set up to conduct it were handed a script by the party hierarchy. According to them, the script was to deliver a preferred candidate irrespective of the wishes of the party members in the state. Besides, media reports were to the effect that the primary conducted in the state was a sham. A deeper interrogation of the issues at play revealed that whatever the two governors became was a function of the party, even if some critics of the duo continue to insist that they overreached themselves. There is no better way to substantiate this position than the aloofness of President Buhari in the whole matter. Twice, in Owerri, Imo State and Abeokuta, Ogun State, Buhari reportedly told party faithful, who thronged the campaign venues to vote for the governorship candidates of their choice even when the APC governorship candidate was right there beside him. Such statements simply emboldened the duo the more, which perhaps explained why they carried on with the fight. The president’s body language at those times could have been interpreted to mean: You guys are fighting a right cause, carry on with it. Another interpretation of the president’s aloofness bordered on non-interference with the work of the party’s NEC. Given the party’s recent history, such aloofness can only be counterproductive especially, when the crisis continues to linger. 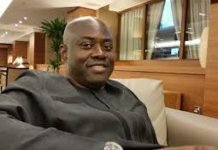 The same posturing typified the emergence of Bukola Saraki as Senate President leading some political analysts to conclude that the party has learnt nothing from its recent past. Whether the suspension will ultimately heal the deep-seated suspicions and intriguing power play and animosity within the party will be revealed in the fullness of time, given that Okorocha had weeks told reporters that if he opened his mouth and spill what he knew, Nigerians will race down Aso Rock. Of particular concern, however, is how the party manages its electoral success in both the presidential and parliamentary elections, and still delivers developmental dividends of democracy to the generality of Nigerians. Unfortunately, the party, with the suspensions does not seem to have learnt much from its recent past. Clearly, a pertinent takeaway from the suspension is that APC leadership needs to change its combative management style. The suspension of Amosun in particular and this is mindful of the controversy surrounding Okorocha’s election in the senatorial election could lead to further distractions for the party and the government being the ruling party. This is so because some of his sympathisers, especially his political associate from the days of All Nigeria Peoples Party (ANPP), who came into the APC from the other legacy party, Congress for Progressive Change (CPC), may want to fight his cause. This scenario has the potential to spill into the senate and the many implications for good governance are better imagined when the discerning recalls the early days of the current red chamber.